2.) Fridays 10am – 12pm with Beth Gordon, NCDA trained Career Development Facilitator. Both of these one-on-one sessions will focus on resume and cover letter writing, online job applications, job search resources, and interview preparation. Job hunters should have basic computer skills and bring a copy of their resume if they have one. To sign up call 518-828-1792 x101, email brenda.shufelt@hudsonarealibrary.org or stop by the library circulation desk. 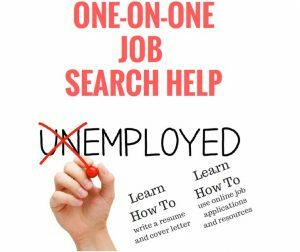 The Job Search Help Consultations are made possible, in part, with support from a Mid-Hudson Library System adult literacy grant. This entry was posted in Adults, Programs, Services and tagged Employment, Job Search by Brenda Shufelt. Bookmark the permalink.